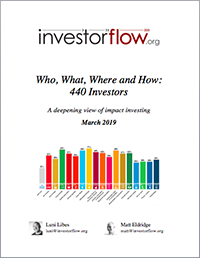 Over two years, four iterations later, and now with profiles of 440 individuals, families, funds, foundations and others, the who, what, where, and how of impact investors is becoming clear. 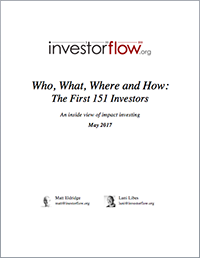 Where do they invest? 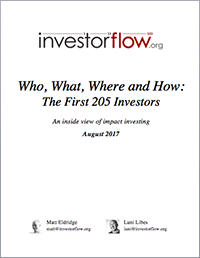 What sectors do they invest in? Which stages of growth? How long have they been investing? 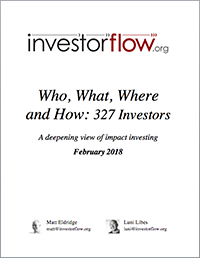 The story of who, what, where, and how impact investors are investing continues, now with analysis of 327 individuals, families, funds, foundations and others. Where do they invest? What sectors do they invest in? Which stages of growth? How long have they been investing?